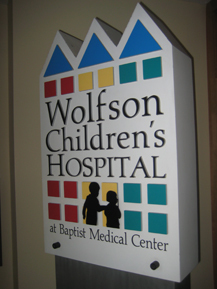 The day started at 5:30am going to Wolfson's Children's Hospital to remove his left back fiducial. It was suppose to be a 15 minute procedure that lasted longer. Dr. Heger told me that he placed 2 stitches and that some clear fluid leaked. I was too worried about the time so I forget to ask if I should be worried. They told me that someone would call tomorrow to check on him but he didn't seemed concerned. We got a special visit today, of all days - Auntie Nicole (Baby Wade's Momma) and Lauren (her Daughter and my adopted niece now) came to celebrate Nicholas finishing treatment. I don't know what I would do without my Nicole... words with never be enough to verbalize our relationship and I call her my sister because of the bond family shares, but even then - words fail me to the extent of the bond we have because of this journey. Nothing else will ever compare to this kind of friendship and I have no doubt she will always be silently cheerleader when Nicholas does well - that's the love we have had for each other during this horror. I wish I could fully express what she is to me - but I just simply can not find the capacity to explain it. She is my sister for life and the one person I know understands me the most. They are staying tonight which will be fun to go out with them tomorrow before they head home. 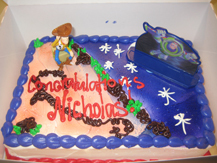 For end of treatment the kids get a cake, of course we had to have TOY STORY since my little guy just loves it. We also got great news from Brandi (Mommy of Megan P.) that scans were stable and in fact an improvement also. We also found out that the chemo is WORKING for little Avery C. and we are so extremely thankful to God for the miracles this week ... keep them coming God please! Lastly, I leave you with a photo of Baby Nicholas sedated in the gantry. It's taken me a while to actually post this because it is hard for me to look at. 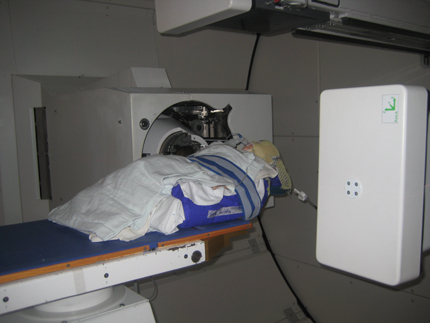 The mask bolts his head into place so that he does not move during his treatments. I am so thankful this part of the process is over because it was so tough for me as his mother to know that every time I walked him back and watched him be sedated in my arms that this process followed me walking out praying. Thank you Lord for keeping him safe!